The following is a repost from last year of the sermon I gave on Sunday, August 1, 2010. Happy Lammas! Today, let’s spend some time thinking about bread. I don’t think we have any British wheat or grain farmers here, but if you were such a person, you would probably be working right around this time of year to bring in the first harvest of grain. As such, there is an ancient English Christian custom, probably not really followed much any more, of baking a first loaf of bread from the flour of that harvest and then bringing it to church to have it blessed. This custom came to be fixed for celebration on August 1st, and so today is called “Lammas,” which is a compound word formed from the phrase “loaf mass.” There are actually a number of English words formed in this way, such as Michaelmas for the feast of the Archangel Michael in November or Candlemas for the feast of Christ’s presentation in February, when candles are traditionally blessed. But probably the only one most of us are familiar with is Christmas, the feast of Christ’s nativity. Today is Lammas, a day to focus on bread. Blessing a loaf of bread in church may sound a bit odd to some. What’s so special about bread? But to those who find that odd, it may also be interesting to note that the standard Orthodox prayer books for priests also have prayers to bless not just things like grapes for Transfiguration, flowers for the Dormition, or palms for Palm Sunday, but also for digging wells, for salt, for sowing seed, for barns, for herds and enclosures for cattle, bees, beehives, honey, planting vineyards, stocking fishponds, building boats, ambulances, fire engines, trains, cars and bridges. And that’s just in the abridged volume. What’s interesting to note about all these blessings is not so much their specialness, but rather their very ordinariness. Many of them have to do with an agrarian farm life that most of us never touch directly, but certainly at least one of them touches us in some way, even if it’s just the blessing for cars or salt. 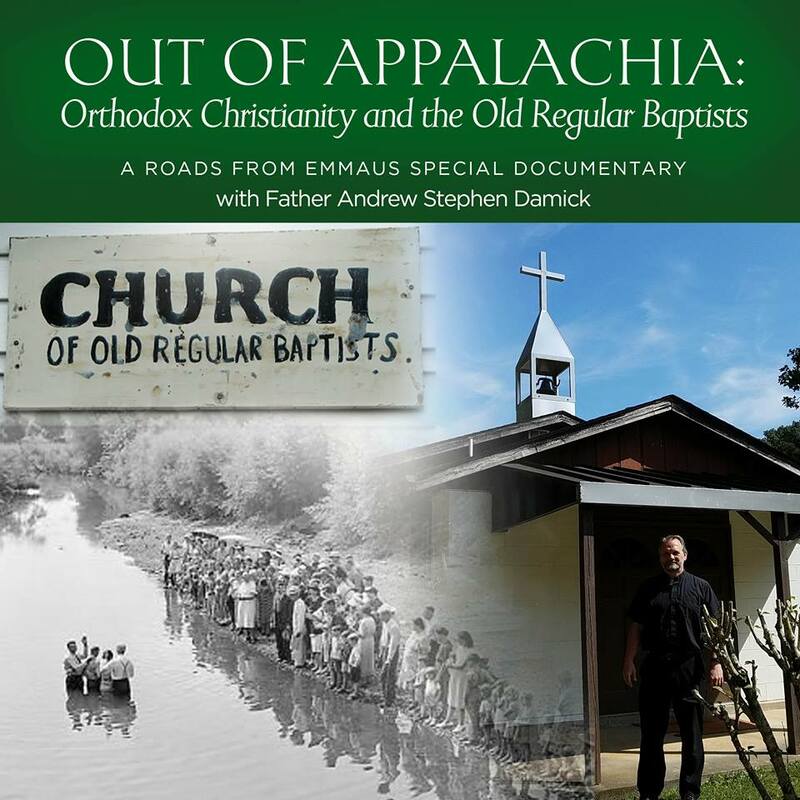 One of the illnesses of our age is that Christians have removed God out of the ordinary. The essence of secularism is not so much a denial of God or even a rejection of coming to church, but rather the relegation of spiritual things to one compartment of our lives. We can understand easily why God would bless someone’s heart and soul, but it’s perhaps less obvious today why He would bless salt or a loaf of bread. Yet, if we think about when God touches us in the Church most clearly, it is precisely through objects like this, in the most primal, elemental, basic and foundational stuff of everyday life: Water, wine, oil, bread, cloth, hands, hair, dirt, stone, language, fire, wax, wood. All of these are to be found in the sacramental, mysterious life of the Church, and it is through them that the divine presence is communicated to us. Through these things, we connect to God. The ancient Celtic Christians, the neighbors of the English, also had prayers for rather ordinary things. Babies were washed by dipping them three times in the water, while saying the Names of the Father, Son and Holy Spirit—an echo of baptism. There were also prayers for rowing boats, walking, giving birth, and lighting fires. It is so, so very sad that so many of us have lost this sense of God’s presence in the mundane, ordinary moments of life. One of the things priests sometimes hear in confession is that God feels distant. Being told “blessed are they who believe without seeing” is sometimes not very comforting, because our hearts, whether we know it or not, very much long to see God, to experience Him in a way that we know for certain that He’s there, that He loves us, that He is touching us and connecting with us. If God feels distant to us, it may be because we have not invited Him to be with us. Our Lord and Savior, in His great love and kindness and compassion, will never force Himself into our lives. He is there just as much as we want Him to be. But how much do we want Him? We have all known people who want something so badly that they will do whatever it takes to get it. Perhaps we have been that person. Perhaps we were training as athletes or academically ambitious or in love. Do we have that same fire for the eternal love of God? The star athlete will tell you that he did not go from being a flabby weakling to an all-star overnight. He worked at it, doing what he could, taking it slow, then gradually building up to an intense, driving training in his sport. Spiritual life is the same. If we want God to be present for us in the extraordinary moments, we need to invite Him into the ordinary ones. So we begin again with bread. Of all the physical things that the Church makes use of in her life, there are two which are at the very center of what it means to be Christians in communion with our God—wine and bread. Since today is Lammas, let’s talk about bread. With the exception of God’s gift of manna to the Hebrew people in the wilderness and moments such as the miraculous feeding of the Prophet Elias, bread is always the result of the work of human persons. It is baked in an oven, tended by a baker, who has formed the bread out of flour, salt, water and yeast. And the flour is from wheat, which is harvested by people. The salt is distilled from the sea or dug out of the ground, the water is drawn from its source, and the yeast is collected and propagated. At every stage, human activity is required for there to be bread. Yet there would be no wheat without God, nor would there be water, salt or yeast. Even the strength and knowledge of the baker find their ultimate source in God, to say nothing of his very existence. And God created the physical laws according to which the matter of the universe normally operates. So it is clear that at every stage of its development, divine activity is required for there to be bread. 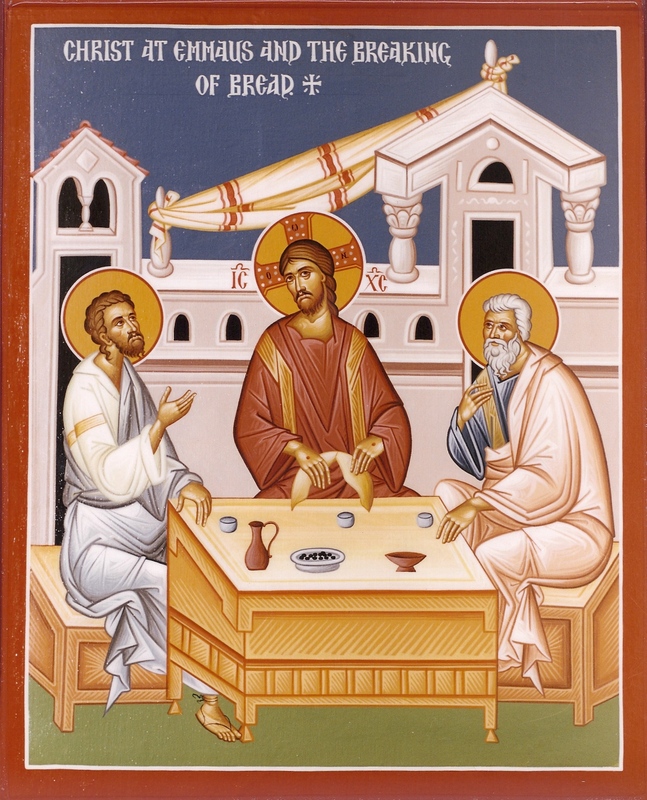 These two observations, that there would be no bread without man and that there would be no bread without God, are an indication of what in Orthodox theology is called synergy, the working of God and man together. Far from solely being our Creator and our Lord, God also joins us as our co-worker, standing next to us in the most basic and ordinary moments and tasks of life. If we consider bread in particular even more deeply, it is not only something that we make together with God. It is our nourishment. Nearly every diet in every culture in the world includes bread in some form. Even the most meager of diets—bread and water—includes bread. Bread goes to the very heart of human life. It is therefore no coincidence that when the Lord chose the means to make His Body available to us as food, as the divine Eucharist, He chose to do it through bread. Let us consider for the moment therefore the holy and divine Eucharist we are about to receive. It was made with the hands and the knowledge of a baker, and at the same time, it is the fruit of the divine Energy of God in His creation. And it is this ordinary product, which comes from the ground, from the water, from the air, and from seed, which is transformed by the power of the Holy Spirit, but in synergy with the prayers of the holy people of God, the royal nation of priests which is the Church—this is what now holds the awesome mystery of the wholeness of the Godhead within itself. Christian life truly is so very intimate. Its power is that it spiritually intertwines the uncreated God with the created world. The ordinary becomes extraordinary, and the most basic, fundamental, everyday things become for us the vehicles for the communication of what is truly beyond our ability to describe it. So consider therefore, when the blessed Chalice comes forth from the altar this morning, that contained within it, in a great mystery, is God Himself. And that is what you will be eating. How can we not stand in awe at the God Who touches the ordinary to make it holy, Who lifts up broken, messed-up people to become saints? Let us therefore remember at all times to invite Him not just into the high point of our week—Sunday morning—but into every little moment. To our Lord Jesus Christ therefore be all glory, honor and worship, with His Father and Holy Spirit, now and ever, and unto ages of ages. Amen. In a world in which the Son of God did not become incarnate, there is of course no point at all in mingling up spiritual things with the material world. But because the Son of God did become incarnate, then that means that physical matter has the possibility for bearing within itself the divine energies of God. The event of the Incarnation has ramifications throughout history, both before and after the Annunciation. There are numerous cases in Scripture of God working through physical matter—indeed, almost every time we see Him doing anything, it is with created matter as a major element, whether it is healing the blind or snake-bitten, resurrecting the dead (e.g., as upon the relics of Elisha in 2 King 13:21), the cloud and the pillar of fire for the Hebrews, ordination, baptism, the Eucharist, etc. The point in asking God’s blessing upon physical objects is precisely the same. We are asking God to make Himself present in them, so that in and through them we may come into contact with His divine power, His energies. We do not believe blessed objects are “magical,” possessing any independent power of themselves. They are simply vessels for God’s grace, His actual presence in and with us. In short, we are banishing secularism from our world. There is no place and no thing where God does not wish to manifest His presence. He has chosen to work through our prayers to make this a reality. Whenever I am asked by my numerous evangelical neighbors if I have “accepted Jesus Christ as my personal Lord and Savior” I tell them yes, He and I are so close that he not only enters my home and heart but that also HIS Body enters mine. The joy of the Eucharist is impossible to explaint to someone who has not had the experience. What a gift He left for us..